the iPhone 8 keeps getting more and more features jammed into it as we get closer to release. This seems like a pretty busy year for Apple. It’s almost like every month there’s a new feature that they’re announcing for either their next iPhone or some innovation that they’re finally getting behind. Whether it be their plans for Augmented Reality, or designing the new Autonomous Car system, Apple really likes to think big. And today is no different, as Apple is now testing 3D Facial Recognition software. With the release of the iPhone 8 steadily approaching, it makes sense that Apple would try and shove as many features into it as possible. And it looks like Apple is trying to rush a 3D face scanner so they can add it to the new phone. The sensor itself can scan a user’s face and unlock the phone within a few hundred milliseconds, and is designed to work even if the device is laying flat on a surface. The intent is to have this new technology replace the Touch ID fingerprint scanner, however, this does bring into question how secure this kind of technology really is. While the face unlock feature takes in more data points than the fingerprint scan, it doesn’t necessarily mean that it will be more secure. Samsung introduced a biometric authentication lock on the Galaxy S8 smartphone with an iris scanner. The user would be able to unlock their phone and make payments by scanning their eyes, however, it was proven that it wasn’t a foolproof system. There were reports that people were able to trick the sensor with a printed photo of a person’s eyes in lieu of a real person. So what’s to say that this facial recognition sensor from Apple will be any better? Well, Apple’s response to that is that the sensor has 3D depth perception, to hopefully make it more viable. On top of this new unlock feature, Apple is also testing the new iPhone prototypes that include a chip exclusively for processing artificial intelligence tasks, as well as screens that can display at a higher frame rate. The chip is called internally “the Apple Neural Engine”. The chip is supposed to help improve better life by handling tasks like typing suggestions and image recognition. 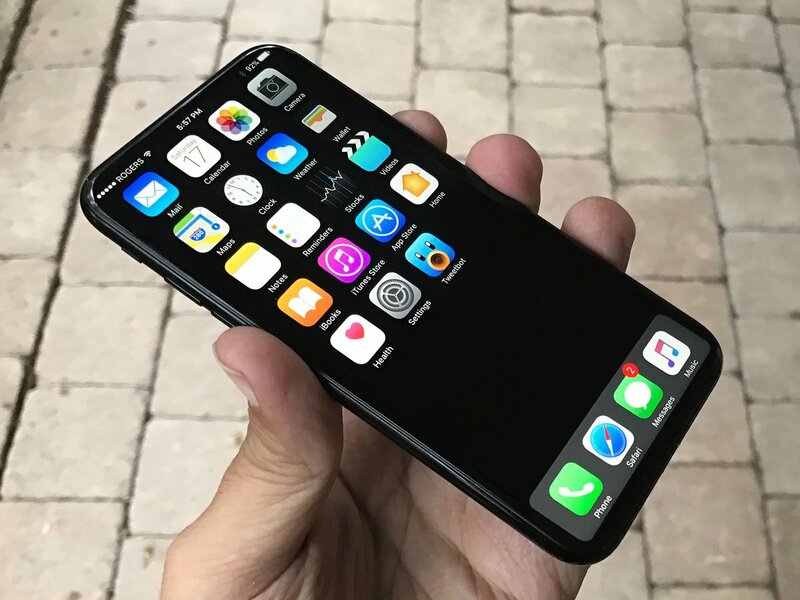 Mind you, all this new hardware will mean that the iPhone 8 will unfortunately still be a large surface area like the iPhone 7, but it is also said that the iPhone 8 will still be a thinner phone. Also, it isn’t known if the facial recognition sensor will support AR features, or if it will focus more on just security and authentication. For now, we’ll just have to wait and see. So many smartphone users love Apple. Not sure why. I guess that is because they are too simple to figure out Android? 🙂 Just kidding. Now that we know this finally came around, I am curious to see how many hackers/developers can work their way around it. Family members look alike and how am I to know whether my sister is going to keep from getting into my phone? Do you like to play around with your iPhone? We are talking about 3D face recognition in July and Apple finally got things together enough to put it on the phone. Now THAT is innovation! What? I am not sure what you are getting at, but it has nothing to do with the Apple iPhone and the lack of innovation that it actually brings to the market. I don’t’ know, for me, I just want things to be simple again. My phone does a lot, but why do I have to do so much to my phone? Swipe to unlock, or entering a passcode is just the right way to lock my phone. I am sure the technology that brings the 3D recognition to the phone is great but is it needed? Higher frame rates are the normal when you take a look at the technology coming out in the industry today. The 3D tech is just a way for Apple to feel like it is doing something to stay ahead of the game. Thinner phone more bloatware on the phone, really high price tag. Apple. You got that right and if there is anyone out there that feels any different, I would like to talk with them real quick. First reaction…..dumb and what is the point? Seriously, what is the point? If you can still get hacked once the phone is unlocked, what is this doing that a thumbprint scanner isn’t doing already? Just more “innovation” coming from Apple I guess. Mine too. Also the fact that this phone model will be even thinner than the last. Just allow for enough of a phone to get the job done AND fit into my pocket.